In partnership with our manufacturers, Healthwick offers Canadians up to 5 FREE incontinence underwear samples per order when you pay shipping. 1 sample per product and a maximum of 5 samples per order, please. 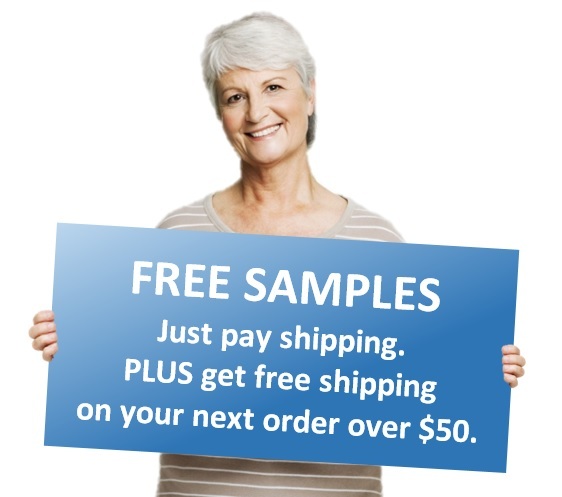 Free sample orders are usually shipped in 1 business day and include a coupon for free shipping on your next order over $50 (before shipping and taxes). One coupon per customer. Not sure which samples are right for you? Use our easy "Choose for Me" feature and our team will hand-select the best samples for your unique needs. Please note that we generally do not allow users to repeat sample the same product more than once and we reserve the right to remove samples you've tried previously from your order. This helps us ensure adequate samples are available from the manufacturers. We may occasionally substitute comparable products for samples you've selected if the current sample is out of stock. Have questions? We have answers! Our team of expertly trained product specialists is here to help you chose products and answer inquiries Monday to Friday from 9am to 5pm EST. Did you know that 1 in 10 Canadians experience incontinence? Learn more about the causes and types of incontinence, and what products are best to help your unique situation. Your services has made life easier for a family caregiver. Thank you so much. Because of Healthwick I have one less thing to worry about with my Mom and Dad. Shipped in full, very quickly - vastly different from your competitors. Very impressed. Amazing customer service and professionalism. Very friendly and followed up on my order. The free samples helped me find the right product fast, and completely discreetly without having to go to a store. Very grateful. I appreciate being able to order samples because we have several packages of products which we've tried but weren't satisfactory. A sample allows us to try without wasting money. I can order what they need and the order is delivered in just a few days. Awesome service. I've been very happy with my experience with Healthwick's agents. They have been prompt, friendly and helpful, patiently answering all my questions. 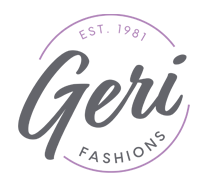 Visit Geri Fashions for all of your adaptive clothing needs today!